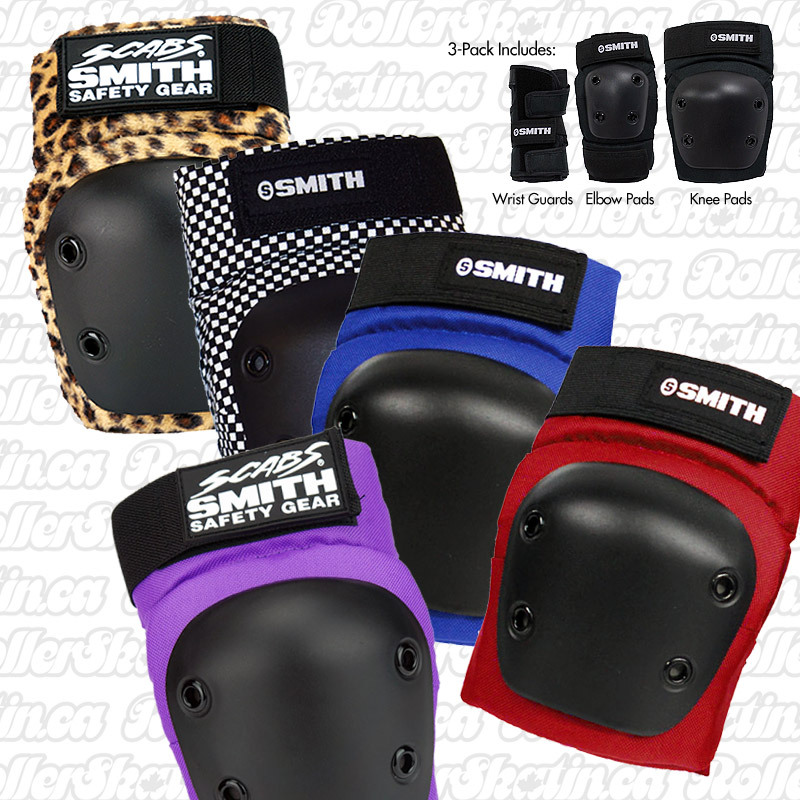 Matching knee, elbow, and wrist guards in one set. Recreational Pad set in Adult size. Wrists: 3 Velcro straps for easy entry; Nylon body with reinforcements at critical areas; Top-side and palm-side plastic splints to protect the wrist. Elbow & Knee Pads sleeve-style design easy to put on; Hard shell plastic cap is riveted to a tough canvas body; 1/2 inch foam padding at, below and above joint; Two elastic straps secure the pad to your body.